Telson Mining Corp. [TSN-TSXV; SOHFF-OTC; TSGN-FSE], a company that is developing two mines in Mexico, began trading Tuesday May 29 as a Tier 1 issuer on the TSX Venture Exchange. Having graduated from Tier 2, the shares were off 3.6% or $0.03 to 80 cents on Tuesday, leaving Telson with a market cap of about $108 million. Telson is a company that almost went under during the resource downturn in 2014. That was before it was rescued by CEO and director Jose Antonio Berlanga Balderas. The company is now focused on two key projects, the Campo Morado and Tahuehueto mines. As Campo Morado has only just reached the commercial production stage (according to the company’s May 23, 2018 press release), Telson has been unable to report revenues as yet. However, Telson President Ralph Shearing said he expects that to change in the very near future. “We are targeting US$100 milion in cash flow from both projects next year,” he said, during a recent interview, with David Morgan, analyst and publisher of The Morgan Report. At the request of the Investment Industry Regulatory Organization of Canada, Telson explained in the May 23, 2018 press release that US$7.7 million in cash flow generated in the final month and a half of pre-production was in fact cash receipts for concentrates delivered to the buyer. The company has been able to reduce costs by cutting the number of employees to around 300 from approximately 700 deployed by the previous operator. Campo Morado hosts several polymetallic massive sulphide deposits containing zinc, copper, silver, gold and lead. The highest paying commodity happens to be zinc. Five of those deposits have been extensively drilled. Telson acquired 100% interest in Campo Morado from Nyrstar Mining Ltd. [NYRSF-OTC; NYR-Brussels] in April, 2017. The project is located in Guerrero State. Drilling has so far has outlined six mineralized bodies containing approximately 16.6 million tonnes of measured and indicated resources, grading 4.01% zinc, 0.80% copper, 0.93% lead, 123 g/t silver and 1.70 g/t gold. On top of that is another 1 million tonnes of inferred resources. The key challenge is the refractory nature of the ore, making it difficult to recover precious metals. Telson hopes to overcome that challenge by using technology supplied by Glencore AG, the Swiss metals trading giant, Shearing said. The company said it was looking at leaching processes to increase recoveries of previous metals from concentrate and existing tailings. 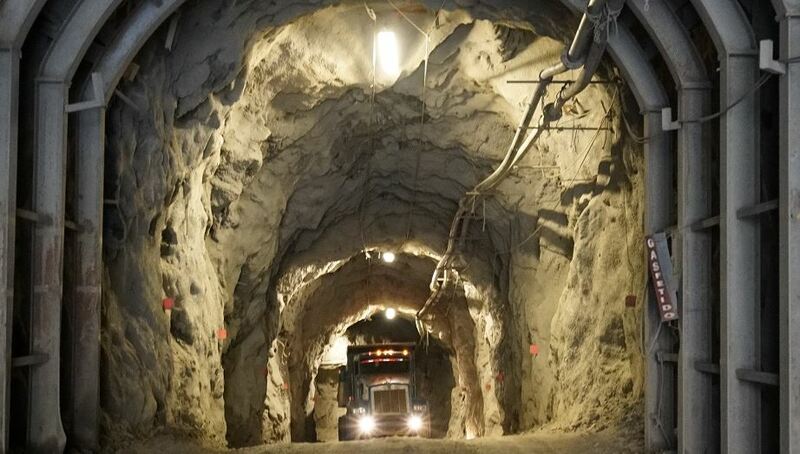 After being placed on care and maintenance in early 2015, the mine has been in production since October 2017, currently at a rate of about 2,000 tonnes per day. “We hope to ramp up to 2,500 tonnes per day by the third quarter of this year,” Shearing said. Under the April, 2017 purchase agreement, Nyrstar retains the right to receive a variable purchase price royalty on future zinc production on the first 10 million tonnes of ore processed by Telson when the price of zinc is at or above US$2,100 per tonne. However, Telson can purchase 100% of the zinc royalty at any time for US$4 million. Telson controls 100% of the Tahuehueto Mine, which was acquired for its exploration upside. It lies within the Sierra Madre mineral belt, which hosts most of Mexico’s producing mines and active exploration and development projects. The 7,492-hectare property covers at least 12 mineralized zones, hosted within a structurally controlled epithermal system that has been traced for more than 6 km. Tahuehueto is currently in pre-production at approximately 100 tonnes per day, utilizing a toll mill for processing. The company has entered a construction phase with a timeline to be producing on site utilizing its own mineral processing plant at a rate of at least 1,000 tonnes per day by the first quarter of 2019.